Long known as both one of the worst movies of the 1980’s and a perfect example of why stars who produce sometimes need to be held in check, Ishtar, written and directed by Elaine May, starring Dustin Hoffman and Warren Beatty (who also produced), is, like Gigli, a film which people have judged without seeing it, letting the media make the decision that it is unwatchable. The question is, how does the movie play outside of the media vacuum? If I didn’t know that Ishtar cost $40 million, and starred two of the biggest stars of the time, how would it affect my perception? Comedy is about scale. The Last Action Hero and Mystery Men are parodies of action movies with a huge number of funny ideas, but as they wanted to be legitimate action movies as well, with elaborate chase sequences and enormous sets, they ceased to be humorous or exciting. You can’t poke fun at something by saying it’s ridiculous and then expect us to be dazzled as you do the exact same thing you’re mocking without any irony. Scream is one of the few films that ever managed to succeed at this, but Scream was on a much smaller scale (vs. the $60 million of Mystery Men and $80 million of The Last Action Hero), always aware of itself. Since Hoffman and Beatty are nowhere near as big as they once were, does that reduce the scale of the film? If the movie doesn’t look like it had any reason to cost $40 million in 1987, which is about $90 million now, do I take that into account? I did try to take that into account, and for the first 20 minutes, while the movie is small, it works very well. 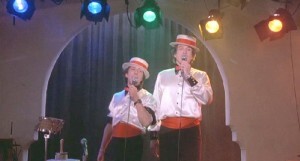 Beatty and Hoffman play terrible songwriters, unaware of their lack of talent, who join together and end up singing at open mic nights to try to land an alcoholic agent. The songs they write are hilariously incompetent, and you can’t help but laugh and wince as they sing along to their lyrics, believing that they are creating genius. The opening scene has a few gems, such as when they are trying to work out a new rhyme and Beatty keeps repeating the same line, and Hoffman replies with; “I never heard of a hit that the word herb in it.” The joke of the film is that Hoffman, self-nicknamed Hawk, is the ladies man (or at least he fancies himself that, and Beatty seems to believe it), and Beatty is the inarticulate and self-conscious schlub. Both characters are not bright, but while May has them bouncing off other people, it is much funnier. Unfortunately, once the story moves to Morocco, and Beatty and Hoffman are stuck in the desert with a blind camel, they have nothing to do. You can’t have two bland dummies playing off each other for long stretches of time, because it becomes impossible to tell if the writing is sloppy, or the characters are just mild idiots. 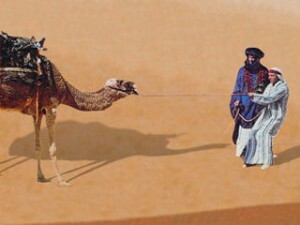 You must have a straight man for these types of situations, and a blind camel simply doesn’t cut it as one. Only if you take it to the furthest extremes, a la Dumb and Dumber, does stupidity work as the only element on screen. It’s odd that once the movie becomes larger scale, it becomes isolated. I don’t really know why May chose to strand her characters in the desert, other than to make an updated version of the Hope/Crosby Road movies, perhaps Road to Morocco 2. What’s even odder is that the movie begins to take its disposable plot seriously. 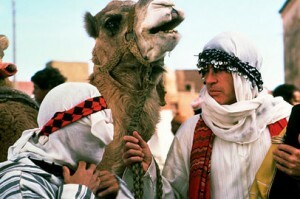 Hoffman and Beatty’s agent offer them a spot to perform in Marrakesh, at the Ishtar Hilton, and out of desperation, they take it, only to immediately end up in political espionage as soon as they hit their connecting flight. Isabelle Adjani plays the sister of a murdered archeologist, who has discovered a map that will somehow cause a holy war is made public. She is on hand to nothing other than explain the plot to Beatty and Hoffman, giving them each separate tasks to do, while telling them to lie to each other. At that point the film turns into a generic action movie, with helicopter chases, double crosses, etc., but May’s heart really doesn’t seem to be in it. Beatty and Hoffman are playing tired and weary characters, beaten down by years of disappointment. Having them shooting at helicopters does not fit. The characters are fish out of water in their own bodies, no reason to take it further. If you watch Beatty early on, you can see this. Their agent tells them that if you want to get people’s attention, play something they recognize, that way, even if they hate you, you still give them something to applaud. To watch Beatty sing the harmonies and acapella portions of Little Darlin’ while he plays the bongo, is to see complete commitment by an actor. Unfortunately, May makes the mistake of cutting to the stunned audience, since it is perfectly obvious that this is horrible, we don’t need to be told that. If the film had been 107 minutes of this, it might have been a minor classic, but perhaps somebody balked at making a small movie with big stars playing big losers. This sort of thing can pay off, see Al Pacino in Donnie Brasco, but perhaps someone in the higher ranks of the studio was afraid. Hoffman doesn’t go quite as far, though playing confidently dumb without any winking at the audience, or any pretense of being above it, is admirable, especially in his “hip” garb at the airport, headband and all. Only Charles Grodin (a staple of May’s previous films), who plays a CIA agent constantly negotiating and scamming both sides, provides any amusement once they are in Morocco, with his deadpan humor. He seems to be the only one aware that there is a much better movie hiding in the script, but no one wanted to go too big or too small. May was blamed for the failure of the film and has not directed since, and has only written scripts for her former partner Mike Nichols on Primary Colors and The Birdcage. While it is sad that she had to take the fall, it is clear from watching the film that she refused to follow her instincts. That being said, the first twenty minutes are a reminder of what could have been, and make the movie worth seeing. 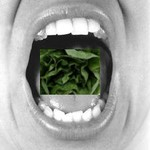 This entry was posted on Sunday, January 18th, 2009 at 2:25 pm	and is filed under Comedy. You can follow any responses to this entry through the RSS 2.0 feed. You can leave a response, or trackback from your own site.